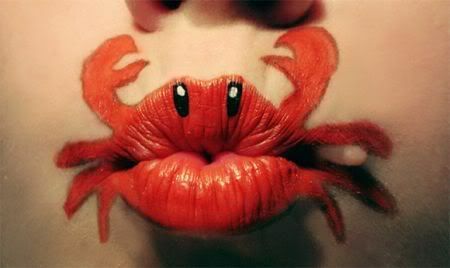 Tattoos and fingernail art are awesome, but I can’t say I’ve ever seen lip paint art like this before. 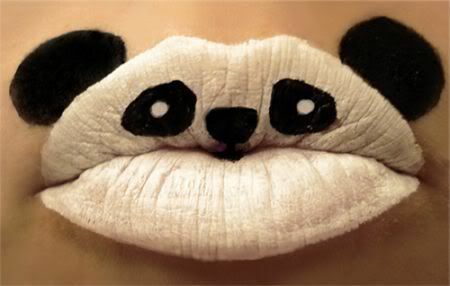 Sure, face painted animals are common at fairs and zoos, but when do they ever just do your lips? Never! There are more awesome foxes, Pokémon, bees, and even a hippo shown here. Too cute. Awesome blog idea. I liked it. I liked the lip art, I'd like to see more pictures of the lip art.